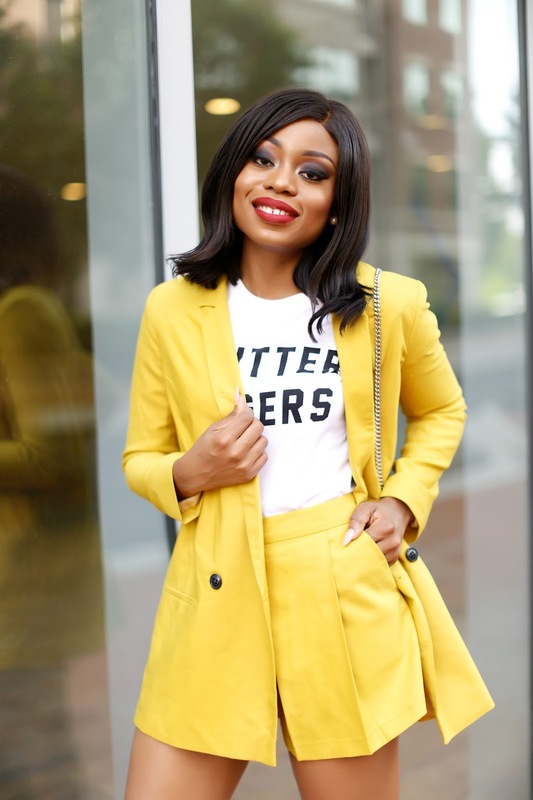 This is the summer of yellow dresses and for today’s post, I am wearing another yellow ensemble. I welcomed summer in a yellow dress and yellow has become one of my go-to colors this season. 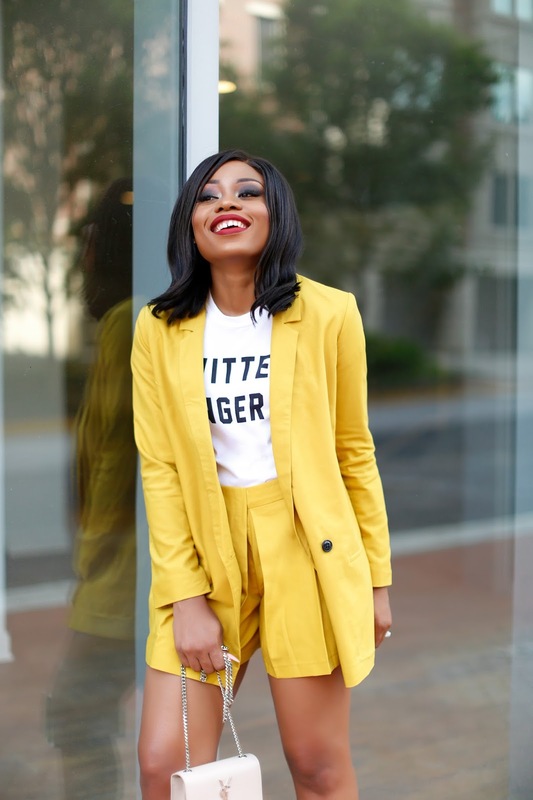 It is difficult not to love the vibrancy of “Yellow “which is why I could not resist the yellow blazer and shorts...my summer suit style! Awesome outfits here, I really need to surprise someone with one, Stella, please I have a question to ask, how can I inbox you?